Leggings are great solution for the winter season. They are comfortable, popular and give you lots of different options for new outfits. 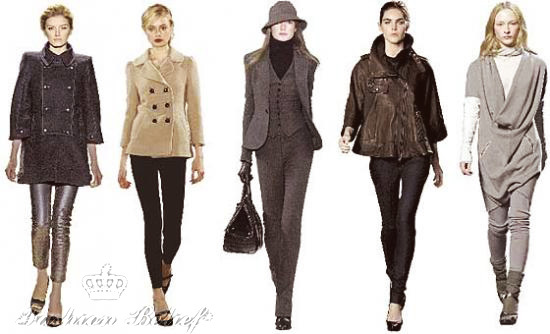 In this article we will give you a few examples how to wear leggings. For the chilly winter days, if you must wear a dress, you can choose a dress, which can be worn with leggings. Choose the style of the dress and the leggings according to the occasion. Generally, leggings are more appropriate for casual outfits. If the dress code in your office is not very strict, you can choose a knee-length dress or a tunic, black or dark gray leggings and a pair of winter boots. For the weekend, you can create really cool outfits with leggings. Choose bright-colored leggings or leggings with some trendy prints and combine them with a hoody dress or a cute tunic. With this outfit you can wear sneakers or boots – whatever feels comfortable. Another option is to wear your leggings under a skirt. Just like with the dress, you can choose something more conservative like a knee-length dress and a shirt or a blouse for the office. This combination will look good with a pair of boots. If the dress code in your office would not let you wear this kind of outfit, keep you favorite leggings for the weekend. You can combine leggings with a short skirt and a pair of furry boots. Another possible combination is to wear leggings with a long sweater. This is one of the best options for your days off, when you don’t need to do anything specific. This way you will feel cozy and comfortable, reading a book or watching TV all day. Feel free to share your thoughts about leggings with us in the comments below. We would be glad to check out your ideas about outfits with leggings.